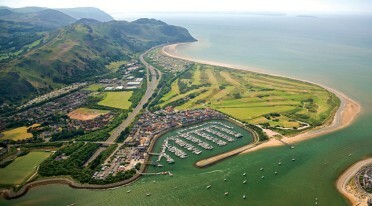 Seawake Powerboat Training is based in North Wales. We train from two iconic sites, Menai Bridge and Conwy Marina, Conwy. Menai Bridge offers generally sheltered waters ideal for training. Our classroom is minutes from the pier at Menai Bridge. For close quarter work we also use Dinorwic Marina at Felinheli where we have two berths. Conwy Quays Marina is pretty unique - set against the stunning backdrop of the Snowdonia Mountains and historic Conwy the marina offers access to both Conwy River as well as the Menai Straits and beyond. The marina maintains a depth of 3m so even at low tide we can still be out on the water training. Our boats can access the Menai Strait on most states of the tide - we are only restricted for an hour either side of low water springs - but we make allowances for this by either being out on the water or in the class room! Our courses are taught by local experienced RYA qualified Power Boat Instructors. All our instructors have a vast amount of boating experience, not only do they teach using RYA guidelines they will also help you with valuable local knowledge of the Menai Strait and the cruising / boating areas around the North Wales coast. They really are a mine of boating information. We have a variety of boats for you to experience on your Power Boat course with us. 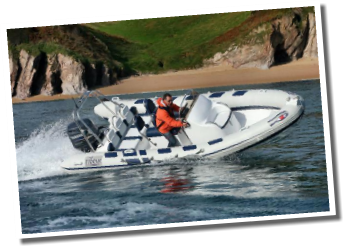 Different power boats handle differently - they are affected differently by tides and winds - we want to give you as much experience of power boats as possible while you are 'in our hands'. We have Ribs from 5.5m to 8m, walk around 'hard boats' from 5m to 6.5m, as well as larger cruising vessels available from 8m up to 12m. Our primary teaching boats all have outboard engines ranging in size from 90 to 300 hp. Book 3 courses (PPR not inclusive) and save 10%! 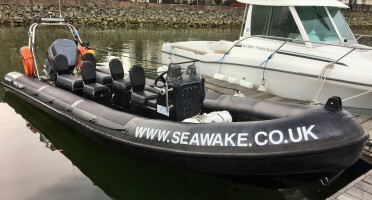 What makes a Seawake Power Boat Course different - it's our team - We are all enthusiastic Power Boaters, we have a vast amount of experience - mostly good; our office team have been on all our courses and drive our boats regularly. But even more importantly our instructors, while perhaps on the older side, have a huge amount of experience, they don't blind or confuse you with nautical terms, they use the KISS approach (Keep It Simple Stupid!). Their relaxed approach puts you at ease straight away. While each course is different we also realise that you want to be on the boats as much as possible. Class room activities for the RYA Powerboat levels 1 and 2 are kept to a minimum and we get as much use as we can from the boats. You will see a brief CV of all our staff along with their contact details if you click on the Our Instructors page. "Many thanks for the PB2 certificate, which arrived this morning. I'm pleased to say that I received my RYA membership package this morning too. Both Pete and I enjoyed the course very much and feel much for confident than we were before the course, particularly having experienced the weather conditions on Sunday. Speaking for myself, I felt very apprehensive when we went out on Sunday and as I tend to be cautious when in control of any boat, I was concerned afterwards that I might have been over cautious. Your kind words are very much appreciated. I was impressed by Seawake. The quality of the boats and equipment was excellent and I was particularly impressed by the instructors i.e. you and Rich. You were both highly professional as well as being very experienced powerboat handlers, but most of all I was impressed by the patience you both showed when having to teach a couple of duffers like Pete and me. You were both first class. I have no doubt that I'll be back to see you sometimes.